It was a very short post but from the feedback, I noticed that some of my young friends thought I was preaching a disregard for all opposing views or that I meant we should do whatever pleases us. This piece which I’d earlier written but had not posted corrects that impression and broadens the discourse somewhat. 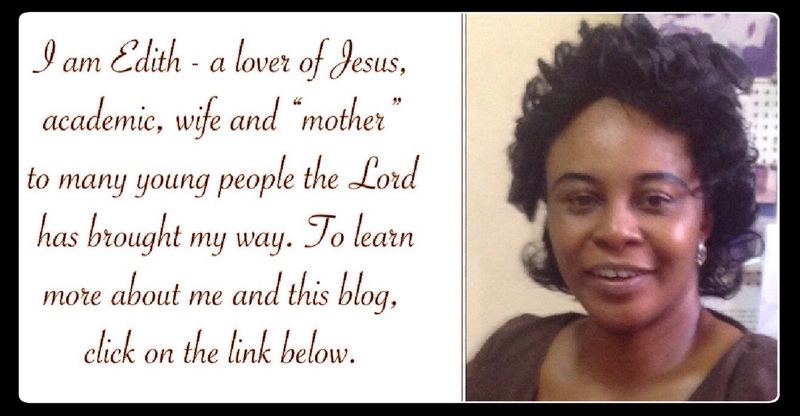 Read and be blessed! Picture having a conversation with a friend and he or she inserts the following question at some point. Any other answer may trigger an argument, hurt feelings, a strained or broken relationship. Why? Because when someone asks a leading question on a sensitive and personal matter like this, they are trying to manipulate you to give a predetermined answer or they are just hoping that put in that light, you will certainly see things from their point of view. What it boils down to is: where is our allegiance? Is it to the Lord or to our friend? If it is to the Lord, we should not answer lightly when we feel “trapped” by the type of situation described above. We should ask the Lord for wisdom to share what is right humbly and lovingly. This might not always be appreciated, nor will it always ensure that our relationships with the party concerned remain intact, but we would have honoured the Lord and done our duty. But that duty doesn’t end if our friend takes offence. We are to continue to lift them up in prayer that the Lord will reach and restore them by His mighty power. May we never be among that number in Jesus’ name. May God bring into our lives the right friends, those who don’t tear us down unnecessarily but uphold us in love and tell us the truth from His word that we might get better to His glory in Jesus’ name. fabulous, thank you Ma, once again. I appreciate, Iheanyi. Remain blessed! “I have to speak—I have no choice. I have to say what’s on my heart, And I’m going to say it straight— the truth, the whole truth, and nothing but the truth. I was never any good at bootlicking; my Maker would make short work of me if I started in now!” This is awesome. Every believer should run away from lies. We must not be sycophants. We must be truthful. 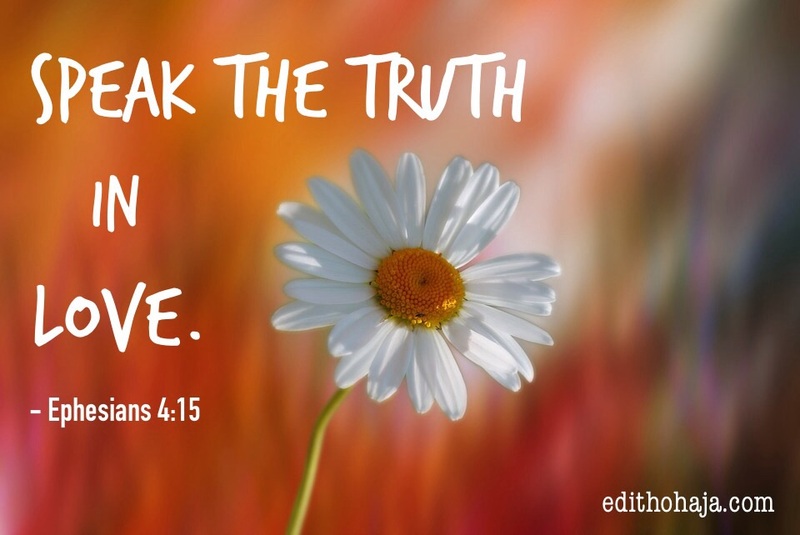 God wants us to uphold the truth in all things, nothing but the truth. I was struck by the phrasing of that verse in the Message Bible too. You are right. As children of God, we should not compromise the truth. Jesus warns us in the Book of John that the devil is the father of all liars. Have a pleasant vacation, Kelechi! truth is sacred and should not be compromised for any reason.... Life becomes a disaster apar from GOD.... nice write up. Correct, Godwin! Have a blessed day! Awesome thoughts and scripture applied to a timeless and relevant topic!! Thank you! Glory to God and thanks a bunch, Tammy! Hope your preparation for the new school year hasn't been stressful. God's grace, my dear! I know we all should be truthful to the glory of God but sometimes giving out the truth in a harsh and authoritative tone makes no sense. We can tell the truth as it is while adding a smooth sensation to the situation. No one enjoys getting hurt but yes, I agree, truth should be told. You're right, Gloria! As the post advises, we should speak the truth in love. Bless you! These are some salient truths that many innocent christians may never know. May God replenish that well of inspiration in you. Thanks. Amen. Thank you, Freedom, and be richly blessed of the Lord in Jesus' name. 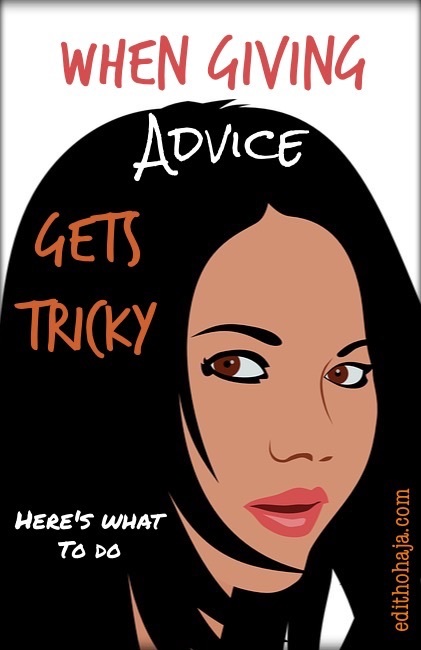 There comes a time when it gets tricky indeed. And when those times come, one needs some touches of wisdom to know know how best to solve the problem. In my honest opinion, I believe that at times our silence is much better than our outspokenness. Nice one my lecturer, you are gifted indeed. Keep inspiring! Thanks a whole lot for the encouragement, Ekene! You're right. Sometimes, all we need to do is listen and the speakers will sort themseves out as they share their problems with us. Have a beautiful week in Jesus' name. The truth of the whole matter is saying the truth no matter what. I will rather tell you the truth and be seen as a killjoy later to find out am the real friend than stay and watch you destroy yourself. being friends with people involves telling them the real and whole truth and allowing them make their decisions. bless you, MA. Bless you too, Daniel! That's the right thing to do. People ask questions they already know the answer to. It's advisable to always tell that friend the truth now than partake in the person's punishment on the last day. It's not easy to, that's why one needs God's guidance to be able to give the right advice. Most people pay allegiance to Friends rather that God. This makes them flatter to hide their true feelings. If we must be honest and do what we are supposed to do, we must learn to pay allegiance and allow our true feelings to be represented. One must either Serve God or Man, and of course the latter leads to destruction, the former Eternal Life. I would always tell everyone the truth whenever they go astray though with a loving spirit so that they could understand and change or act towards it. True that the truth is bitter but the truth sets us free We should learn to say the truth always. Personally I believe its better to tell the truth and be seen as a bad person than the other way round. Truth should be told and we should do this in a polite way without upsetting the person. We should be honest and tell people the truth so we wont be punished in the last day. I honestly believe in telling the truth... Truth they say is very bitter ,but no matter how bitter it gets, always tell the truth. We should never compromise the truth no matter where we find ourselves. It is against the will of God. As children of God it is our duty to tell our fellow humans the truth of everything just as God asked us to. At that point the person may feel we are being jealous but he or she would eventually come to know the benefit of the truth. Nice submission Aunty. Humans are 'rationally stubborn', we feel whatever our decision, it is right and no other can give us advice better than our decision. However, it behoves us to humbly listen to advice. We should all learn to drop our ego and accept advice. Its called advice not condemnation, so we should sit to hear. We cant always be right. Truth they say is like oil; no matter the amount of water you add to it, it must surely float. That is to say that truth can never be hidden. No matter how hard you try to cover it up, it will surely be told one day. That is the reason why we must always say the truth at all times cuz it will liberate us and make us trustworthy. Telling people the truth is better than to tell them lie when you see the truth instead to tell truth you decide to tell lie but no matter what try to say the truth. Yes ma i agree with you, sometimes people gives advice to their friends which is a wrong answer all because of their own interest or as a result of being a victim and wanting their friend to be one as well but its an evil thought and it is not good at all, we should give advice in the way we think its right bless you ma. There's this line from a song that says ""the truth will set you free, but first, it will piss you off", nobody wants to hear the truth from you, that is when these leading questions come in. Most times it's not the truth that the other party wants to hear from you but an assurance to go into something or do something. Which is why we need to pray to God so that when such time comes, He will give us the wisdom to be able to interprete and put it in a way that it will not it incur the wrath or cause whatever bad thing that may occur in the process. This is a wonderful advice, ma. At times, we tend to support our friend's opinions or ideas when we don't want to simply because we don't want to fall out with them or get into an argument. Our advice should always be guided by God's word and we must avoid misleading others as we may be incurring the wrath of God upon ourselves. We should also ensure to give the right advice with love and humility.